AudioValve is warning customers to be aware the offer on our products from any seller on the discount online website, such as Ebay or any other unauthorized dealers. Goods from those companies are not purchased from AudioValve. These units are dubious origin, which could be second-hand, older models, fake, defective, self-assemble in private, with improper voltage or could not meet the local safety requirements of your country. AudioValve products are sold through authorized distributors and dealers selected by AudioValve only. They have been chosen for their professional products knowledge and service ability. AudioValve provides a warranty on products sold only by our authorized distributors and dealers. In order to safeguard your warranty and assure the purchased product quality, please by our products from our authorized distributors and dealer only. Thank you for purchasing this AudioValve product. We have made every effort to insure that it represents the highest level of performance, reliability and finish. Your AudioValve product is covered by a Limited Ninety Day Warranty. This ninety day coverage is automatic upon your acceptance of delivery and no registration is required. Additionally, you have the option, at no cost to you, to secure extended warranty coverage for a period of two (2) years from the date of purchase by simply returning this completed Limited Three Year Warranty Registration Card and a photocopy of your original purchase receipt in the enclosed postage paid envelope to AudioValve within thirty (30) days of product delivery. As a manufacturer of products operating at the outer limits of contemporary audio technology, we feel it is extremely important to have the most comprehensive information possible relating to actual field use so that areas of potential improvement may be rapidly recognized. For this reason we ask that you fully complete your registration card before returning it for the Limited Three Year Warranty. Please feel free to express your impression of this product in the comments section. AudioValve warrants the product designated herein to be free of manufacturing defects in material and workmanship, subject to the conditions hereinafter set forth, for a period of ninety (90) days from the date of purchase by the original purchaser. This warranty is subject to the following conditions and limitations: the warranty is void and inapplicable if the product has been used or handled other than in accordance with the instructions in the owner?s manual, abused or misused, damaged by accident or neglect or in being transported, or the defect is due to the product being repaired or tampered with by anyone other than AudioValve or an authorized AudioValve repair center. If returned, the product must be properly packaged and shipped to AudioValve or an authorized AudioValve repair center by the customer at his or her sole expense. A returned product must be accompanied by a written description of the defect and proof of the date of purchase. AudioValve reserves the right to modify the design of any product without obligation to purchaser of previously manufactured products and to change the prices or specifications of any product without notice or obligation to any person. Any implied warranties relating to the above product shall be limited to the duration of the above warranty. The warranty does not extend to any incidental or consequential costs or damages to the purchaser. Some states do not allow limitations on how long an implied warranty lasts or an exclusion or limitation of incidental or consequential damages, so the above limitations or exclusions may not apply to you. This warranty gives you specific legal rights, and you may also have other rights which vary from state to state. AudioValve warrants the product designated herein to be free of manufacturing defects in material and workmanship, subject to the conditions hereinafter set forth, for a period of two (2) years from the date of purchase by the original purchaser. This warranty is subject to the following conditions and limitations. The warranty is void and inapplicable if the product has been used or handled other than in accordance with the instructions in the owner?s manual, abused or misused, damaged by accident or neglect or in being transported, or the defect is due to the product being repaired or tampered with by anyone other than AudioValve or an authorized AudioValve repair center. If returned, the product must be properly packaged and shipped to AudioValve or an authorized AudioValve repair center by the customer at his or her sole expense. A returned product must be accompanied by a written description of the defect and a photocopy of the validated warranty. AudioValve reserves the right to modify the design of any product without obligation to purchasers of previously manufactured products and to change the prices or specifications of any product without notice or obligation to any person. In the event the product fails to meet the above Warranty and the above conditions have been met, the purchasers sole remedy under this Limited Warranty shall be to return the product to AudioValve or an authorized AudioValve repair center where the defect will be rectified without charge for parts or labor. This Warranty is for the sole benefit of the original purchaser of the covered product, is restricted to the original purchaser, and shall not be transferred to a subsequent purchaser of the product. 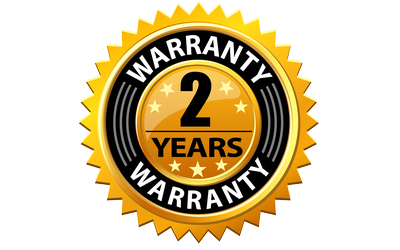 This Warranty expires on the third anniversary of the date of purchase. During the first ninety (90) days following the date of purchase by the original purchaser, the AudioValve Limited Ninety Day Warranty supersedes this Warranty. Please first of all contact us at info@audiovalve.info. Maybe we can help you without having to send the goods back. It has to be clear that this shipment is just a temporary export from Germany and a temporary import to Germany and that the goods are going to be sent back to you after repairing. This is very important because we can not correct mistakes afterwards. If this is not stated, the duty has to be paid once again, from our side when importing the goods to Germany, but also from your side when sending the goods back to your country. Please also take care that the value of the goods is correct, on the proforma invoice as well as on the air way bill. The value of the goods has to be the same as the amount insured. In every case of damage, repairing or warranty you have to confer with us which value has to be taken before filling out the documents and the Air way bill! This is very important, please do not use any value that you think is correct. By any questions about shipment contact us before you ship. If you forget to state all these informations, the duty and the forwarder both handle the delivery as a normal sale from the USA to us and not as a Repair and Return Procedure and it will cost a lot of money for our company as well as for you, the customer. If you have any further questions to this Procedure dont hesitate to contact us. The warranty is void if the top glass of the amplifier is taken within the warranty period. Also void the warranty, if other than that we offer tubes are used for the so-called „tube rolling“. To buy new tubes, please contact your dealer, he has recommended tubes on stock. Incidentally Tube Rolling is simply stupid in the models RKV, Luminare and Solaris. You can convince yourself by knocking on the tubes, they will not hear any knocking sounds in the headphones. It is totally unacceptable within the warranty period to open a product and make interventions designed to improve the properties of the product allegedly. You’re doing it with your TV not to get a better picture – or ? Maybe you want your unit still within the warranty period resell, then tell you and the buyer that you have fiddled therein, or silent about you that he has no more guarantee to the amplifier. The WARRANTY is transferable when the new owner has the original filled out WARRANTY – REGISTER FORM and we the copy of registering.